The Pool Company has the experience and expertise to design and build the pool that fulfills your needs. We renew and update existing pools too. What are the three types of inground pools? 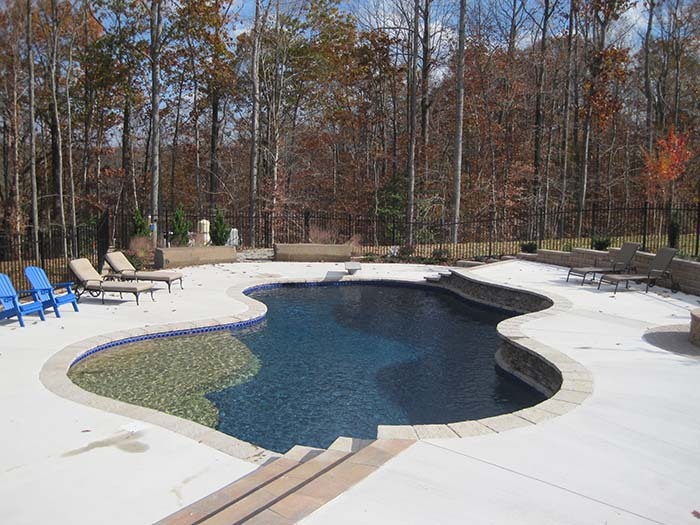 Inground pools come in three basic types: concrete, fiberglass, and vinyl. 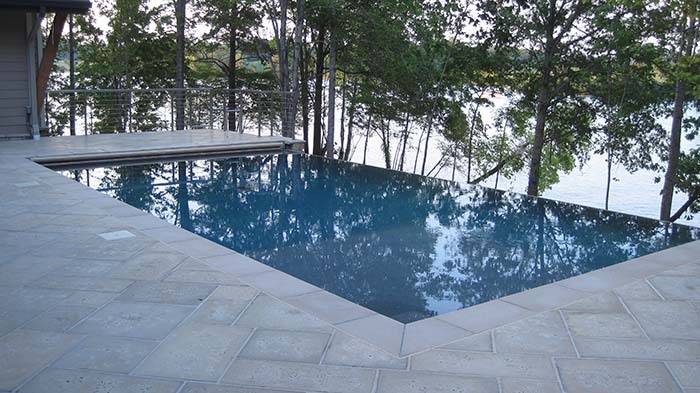 Concrete pools allow the pool of your dreams to become a reality due to the ease of building a custom design. Fiberglass pools are one-piece shells that come in a wide variety of models, including infinity edges. Can I be green and eco-friendly if I own a pool? Absolutely! Solar energy pool heaters are available, and chemical-based water treatments can now be replaced with natural alternatives. 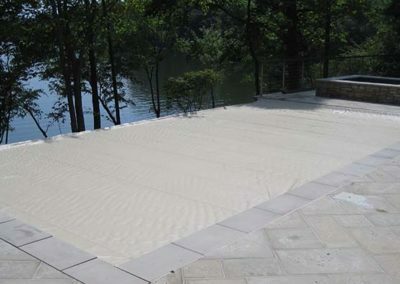 A swimming pool cover reduces the amount of water loss due to evaporation. Pump and lighting timers can reduce energy use substantially. Which pool shape is right for me? Choosing the wrong shape may mean you have a swimming pool that doesn’t really suit your lifestyle as well as it could. The right design is critical to achieving the desired overall aesthetic while maximizing the functionality of the pool. Rectangular designs are perfect for people wanting a classic, timeless look. They’re also great for games and swimming laps. Kidney and free-form swimming pools can blend with the surrounding vegetation and lend themselves to waterfalls and grottos. What else do I need besides the pool? Safety first – You’ll need to meet code requirements, of course. But child-proof locks, water-entry alarms, and other security features are items to think about. Your homeowner’s Insurance will need to be updated as well. Coping, tile borders, and decking help to make your pool more enjoyable. Concrete, stone, ceramic, or glass tile are all options that you may wish to make part of your pool design. Plantings – the right plantings help your pool fit into the surroundings. Avoid planting messy trees (maples, sycamores) or trees with far-reaching, shallow root systems (birches, cypress) near your swimming pool. Trees can also block the sun as they grow. Design plantings that will enhance the space and not add to pool maintenance. The Pool Company has the experience and expertise to design and build the pool that fulfills your needs. We renew and update existing pools, too! For a free consultation, submit a request online or call 540-834-3743.